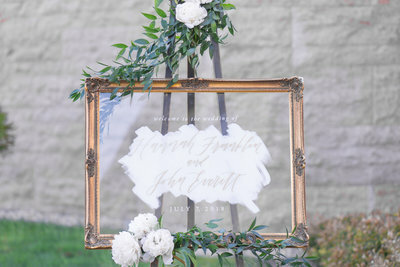 Searching for subtle, but spectacular invitations? Craving clean, uncluttered stationery with a bit of pop? Dreaming of unique birth announcements, but not sure where to begin? You’re in the right place. At Allison Vaz Designs, beautiful simplicity is my specialty. Contact me with your most Pinterest-worthy ideas and I’ll put my mind to work on making them come true. And to those who say it can’t be done? Well, they clearly haven’t met me yet. I'M ALLISON; WIFE, MOM, Creative, AND PROUD PAPER LOVER! 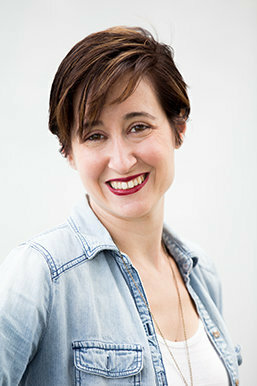 I’m Allison Vaz, a wife, mom, creative, and proud paper lover. I first discovered calligraphy in middle school art class and I’ve had an ongoing love affair with the art form ever since. Calligraphy unleashed my inner artisan and opened the door to a world of crafting and artistry that got my brain working in new and exciting ways. Over the years, my budding design mind sought out all sort of workshops (I seriously love learning). In 2015 one of my best friends, Adie, and I took a letterpress class at The Arm in Brooklyn and, well, let’s just say it left an impression on me (that’s a little letterpress humor for ya’). This new technique allowed me to combine my love of design with my desire to get my hands dirty in a print shop — what more could a spunky creative like myself want? I’m all about experimenting with design and you’ll see that my designs can be realized in any number of ways — from invitations and announcement for life’s major milestones to stationery suitable for elegant everyday correspondence. Together, I know that we can create something unique and beautiful. I can’t wait to discuss your vision with you. Interested in using unique materials? Innovation is my specialty. I’ve worked with mirrors, wood, acrylic and more and I’m always looking for my next great challenge. Will you be the one to bring it? 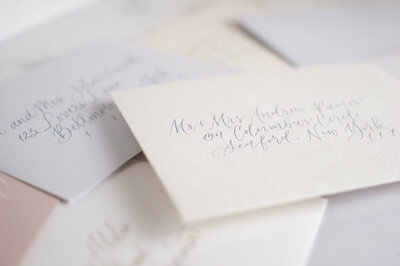 Ranging from loose and painterly to traditional brushed lettering and copperplate. See more about these styles here. Oh, and envelopes, they’re just the beginning.